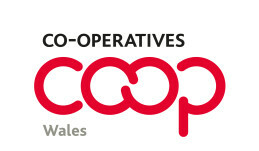 The Plunkett Foundation are running three open day events taking place across rural Wales hosted by established community co-operatives. The events showcase the benefits community run enterprises can bring to rural communities. These events are for anyone worried about the future of their village shop, pub, or any other local amenity – to come and see first-hand how community ownership can be used not just to save it, but transform it into a vibrant hub for the local area. Community organisations and members of the public will have the chance to hear directly from those involved in existing community projects about how they did it, as well as their plans for the future.